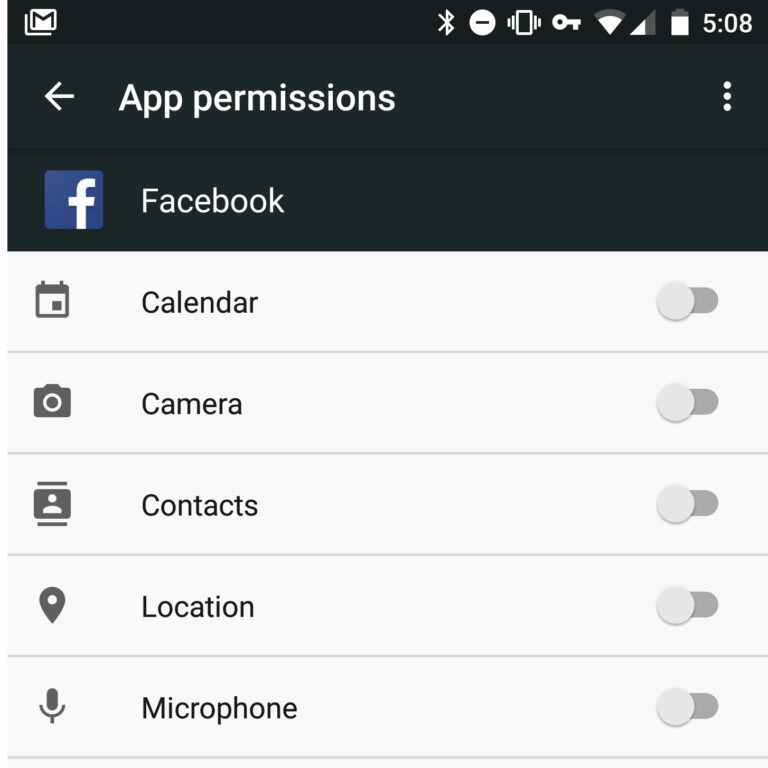 Is Facebook listening to your conversations via your phone? Facebook is a marketer’s dream. Advertisers know every last intimate detail about a Facebook user’s life. The man that first built the technology for Facebook is a guy named Antonio Garcia Martinez. He’s since left Facebook, but he started at the company back in 2011. He has since corroborated that "Facebooks tracks the GPS data off your mobile phone, your check-ins, IP address lookups, if you’re logging in from a laptop or a desktop machine, etc. Location is important to Facebook because A) Just where you live tells them a ton about the kind of stuff you’re probably interested in. And B) if you suddenly appear in a different location, a location that Facebook doesn’t recognize, then it knows that you’re traveling. All this info goes into many complex algorithms and cross-references your friend's list to give you the most desires advertisements they think you will be interested in." But do they listen in on your conversations with your microphone on your phone? Have you ever experienced something like this - "I was baking pizza dough and I said, “This would be a lot easier if we had one of those fancy Kitchenaid mixers.” Ten minutes later, there’s an ad for Kitchenaid mixers on sale." Recently the podcast "Reply All" by Gimlet Media put together a report if Facebook is really listening to your conversations to sell that info to advertisers. Their final conclusion is that if you think it is happening, there is no convincing you otherwise. Regardless, the technology Facebook uses to target people with ads is really invasive. Facebook’s official statement that it is not listening to users. On this week’s episode, we talked quite a bit about the ways that Facebook, in concert with a bunch of other companies, can track you on and off the internet. Here are a number of ways to keep that from happening. I’m sorry. I know this is annoying. But this is the simplest way to keep Facebook from advertising to you. But if you’re like the rest of the world and use facebook to talk to your relatives, there are other options. Ad blockers keep certain ads from appearing when you browse to sites, keeping code that could potentially track your movement from loading. Our favorite is Adblock Plus (some of our listeners have pointed out that AdBlock itself has had some controversy with ads in the past, and recommend uBlock instead). Facebook Disconnect is a browser extension that simply blocks Facebook’s Pixel from loading when you visit a site that has it installed. So Facebook will no longer know where you are going on the internet. If you’re looking for something a little more powerful than Facebook Disconnect, Ghostery is a browser extension that will scan a website as it loads and show you all the the tracking cookies that load with that site, including Facebook Pixel. It also gives you the option to prohibit those cookies from running across the internet. This link will take you to the ads preferences page on Facebook. It will show you what brands Facebook thinks you like, what advertisers you’ve interacted with, and the categories Facebook uses to advertise to you (as described in this week’s episode). You can delete all that information. Facebook may still have it all, but it will no longer allow advertisers to use that info to advertise to you. There are a number of other options to control your ad experience there as well. 6. Opt out with data brokers directly. Steve Satterfield, a Facebook manager of privacy and public policy, says that users who don’t want that information to be available to Facebook should contact the data brokers directly. Again, the data brokers will still be collecting your data, but if you opt out, they will no longer share that data with third-party companies like Facebook or anyone else. There are dozens of these kinds of companies, but Facebook has a page where you can opt out directly with all of the data brokers they work with. You can find that page here (scroll to the bottom of the page for links to opt outs). 7. 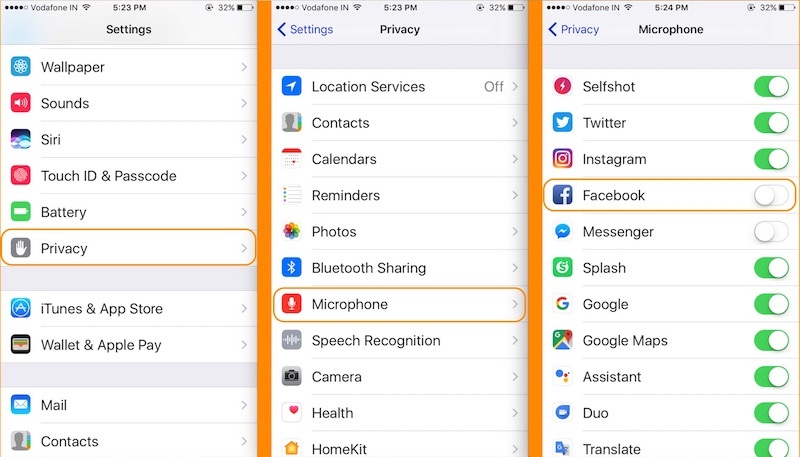 Lastly, if you really think that Facebook and Instagram are listening to you, turn off the app’s access to your microphone. tap the Facebook or Instagram slider to turn it off. tap on Facebook or Instagram. tap the microphone slider to turn it off.